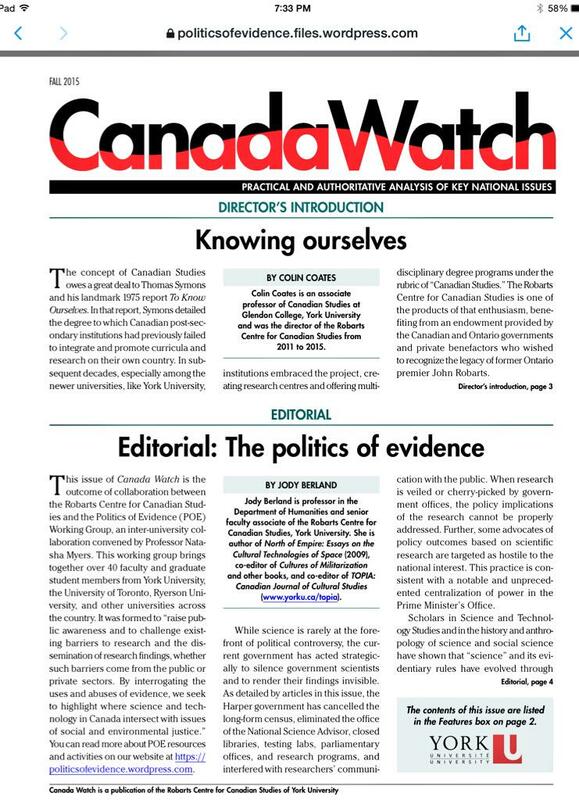 Anncouncing a special issue of Canada Watch on The Politics of Evidence. The Politics of Evidence Working Group, in collaboration with the Robarts Centre for Canadian Studies at York University, have just published a special issue of Canada Watch on the Politics of Evidence, guest edited by Jody Berland and Jennifer Dalton. This issue also includes essays written by Technoscience Research Unit and Technoscience Salon community members: Natasha Myers, Lina Beatriz Pinto García, Denielle Elliott, and Michelle Murphy.